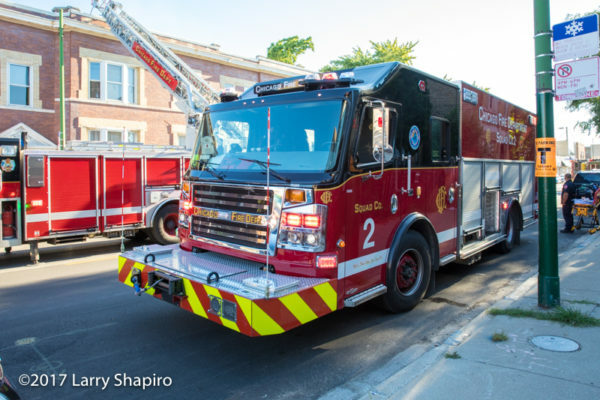 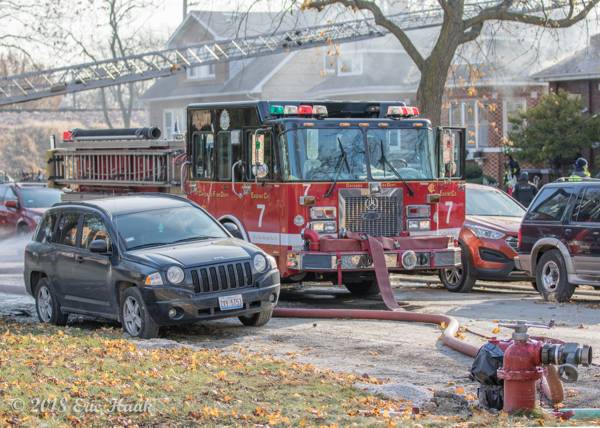 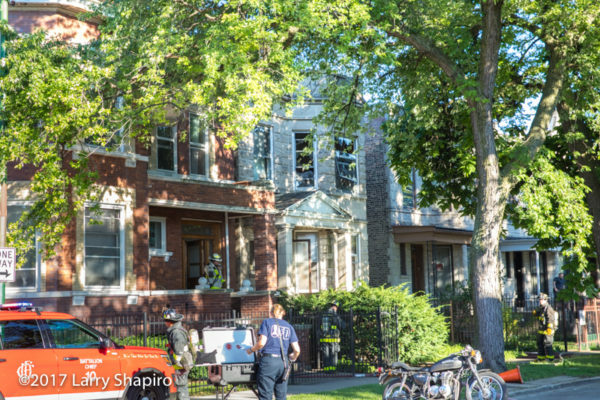 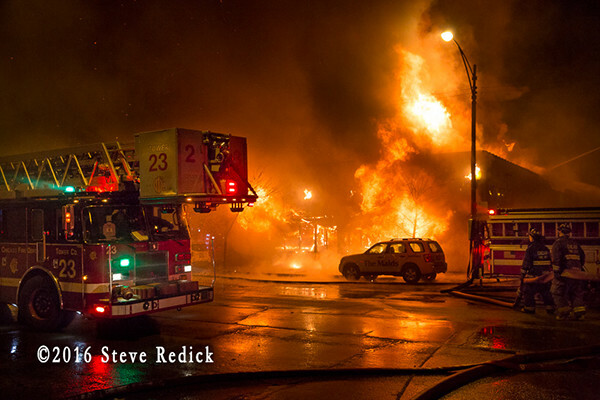 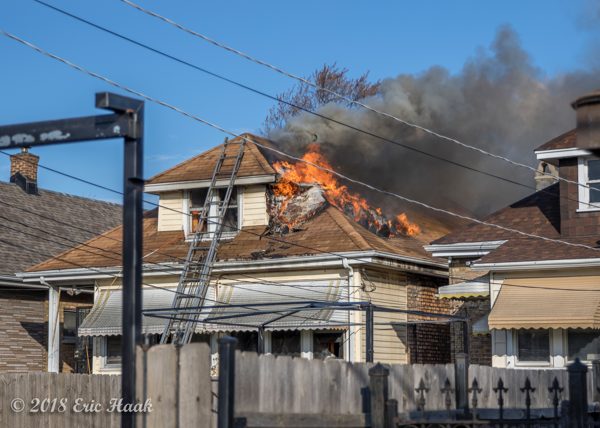 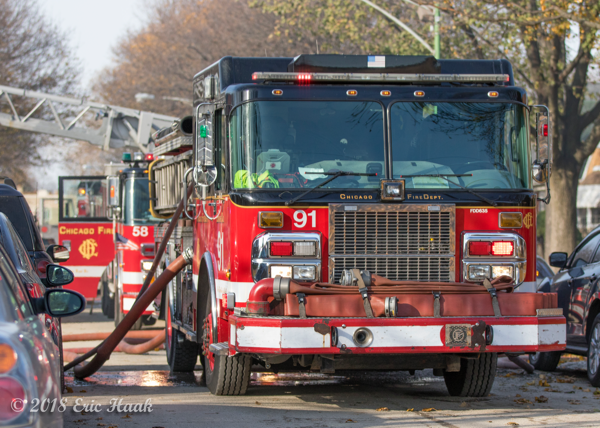 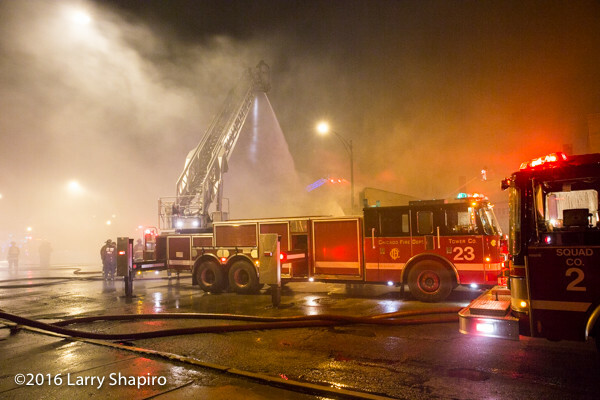 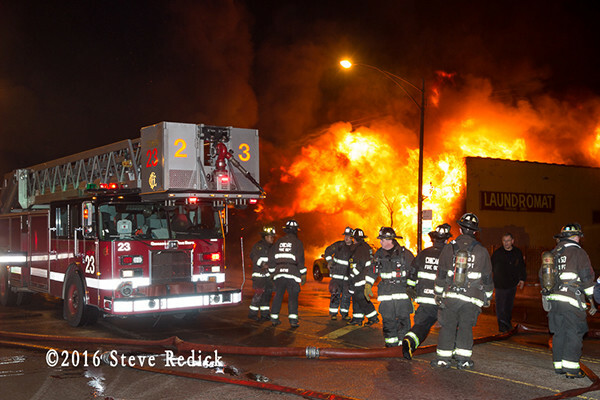 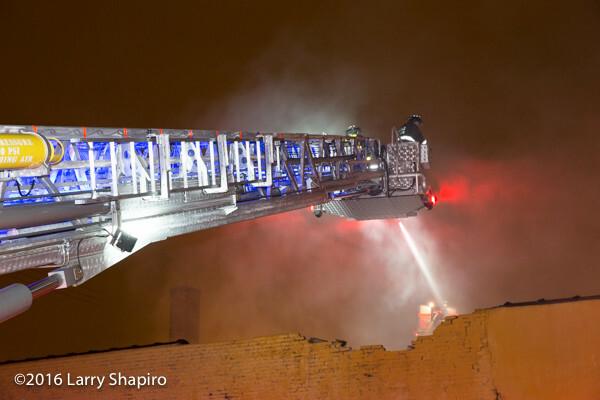 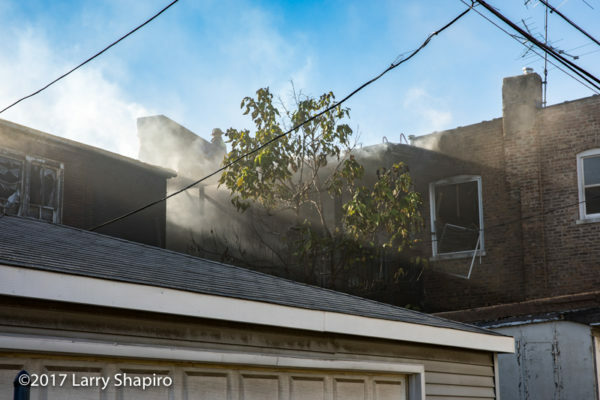 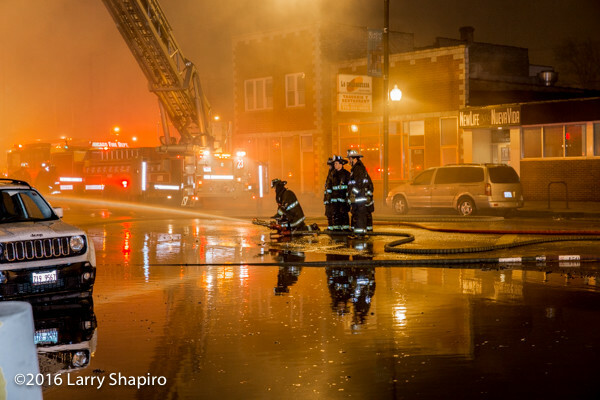 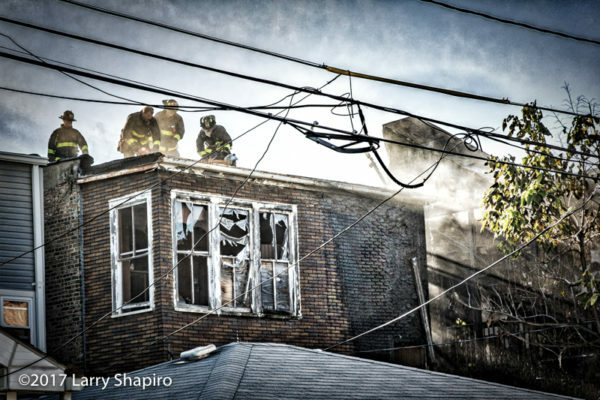 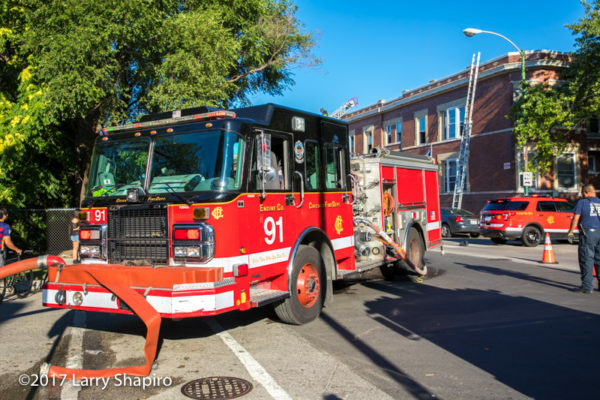 Here are some images from a working fire in the 4600 block of West Altgeld in Chicago on Sunday morning (11/11). 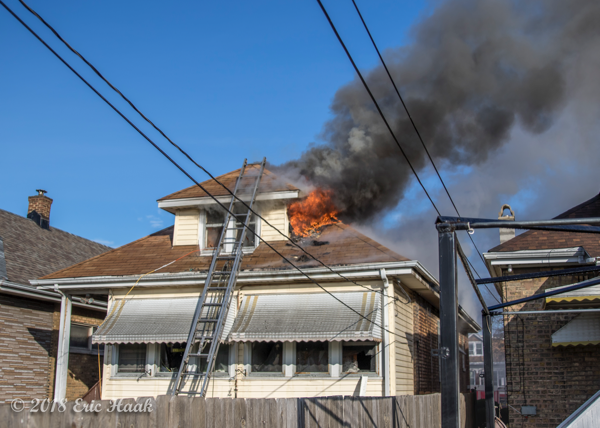 The fire was contained to the attic. 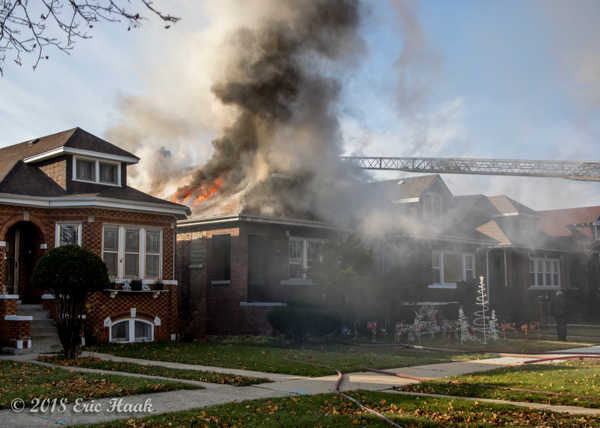 Unfortunately this was an occupied home and several family members, including children, were left homeless by this incident. 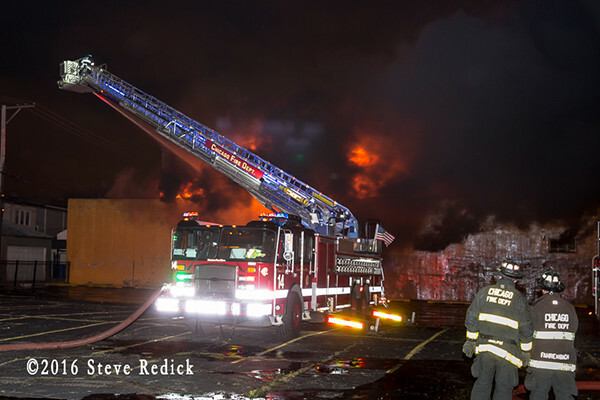 Companies were Battalion 7, Engine 91, Truck 58, Engine 7, Truck 35, Squad 2, Battalion 8 RIT with Truck 53. 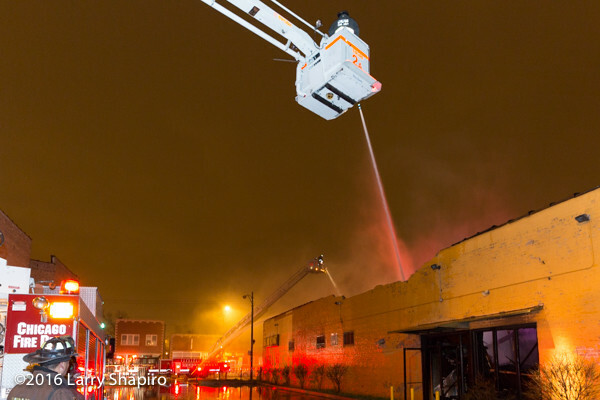 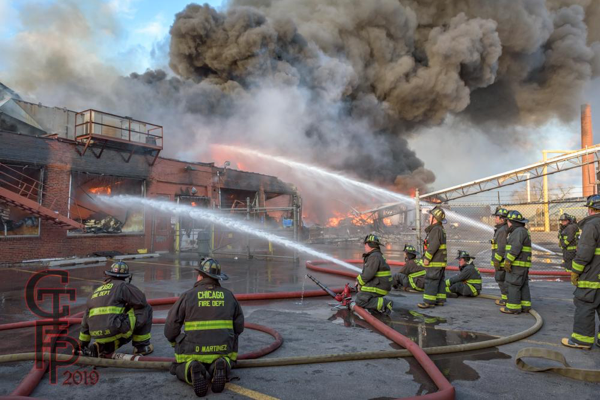 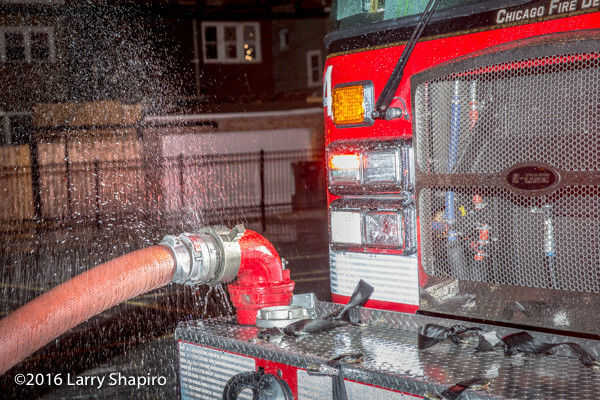 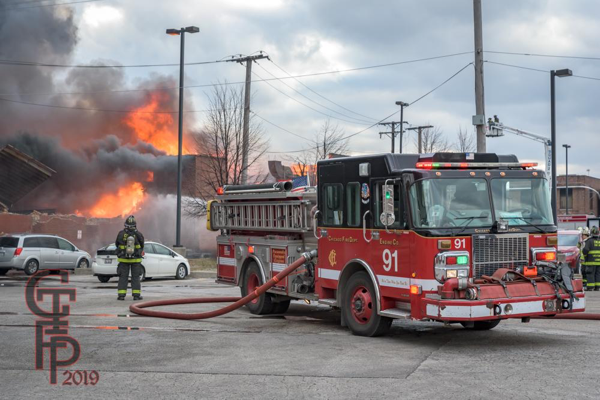 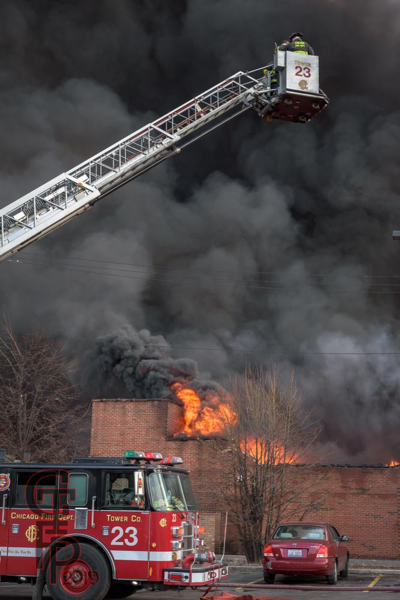 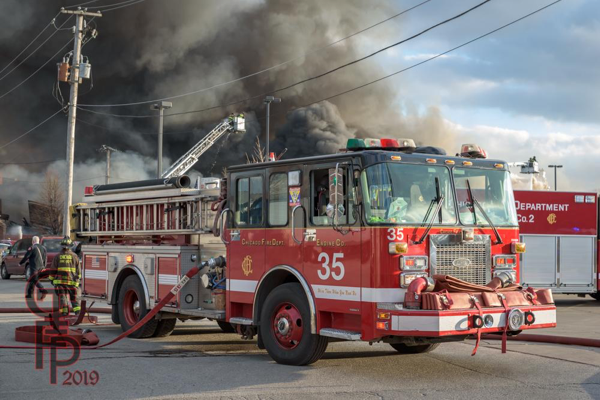 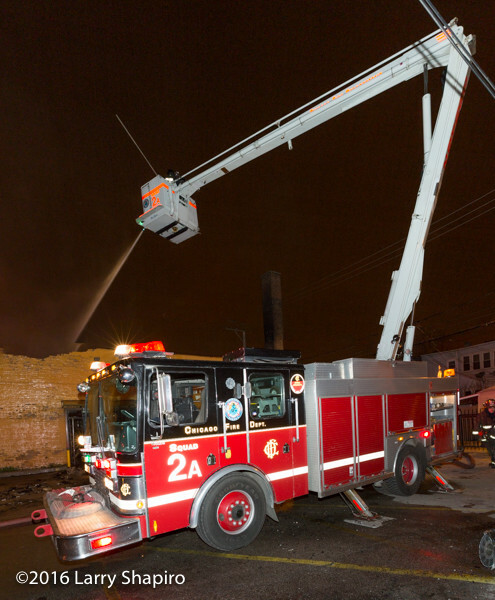 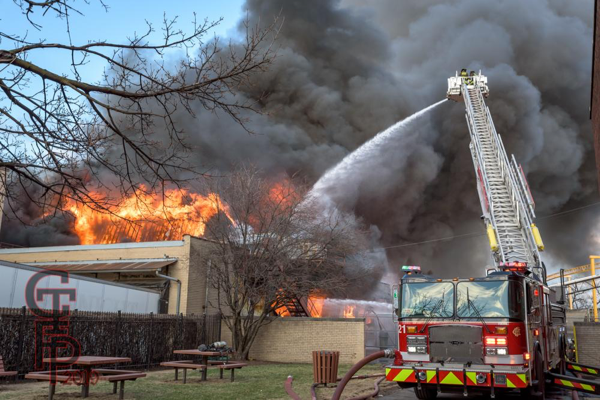 Chicago firefighters were called to a laundromat at 5130 W. Fullerton Avenue after 2AM Monday morning (4/4/16) and found heavy fire in a one-story, 60×100, commercial building with a bow-string truss roof. 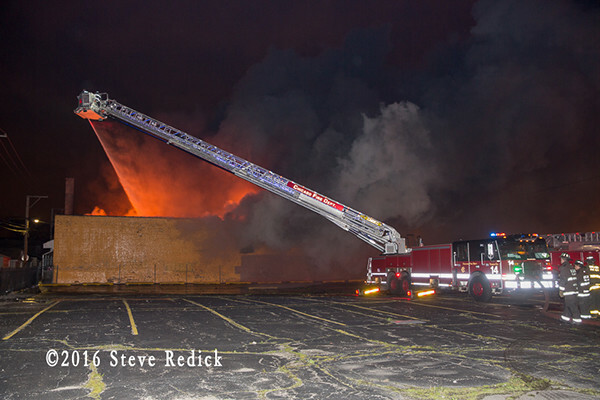 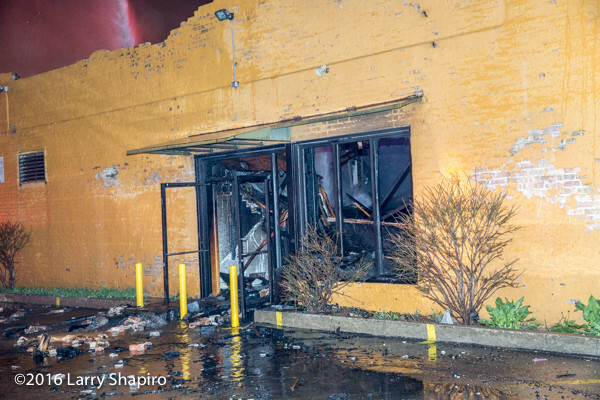 The building had no immediate exposures with parking lots on either side. 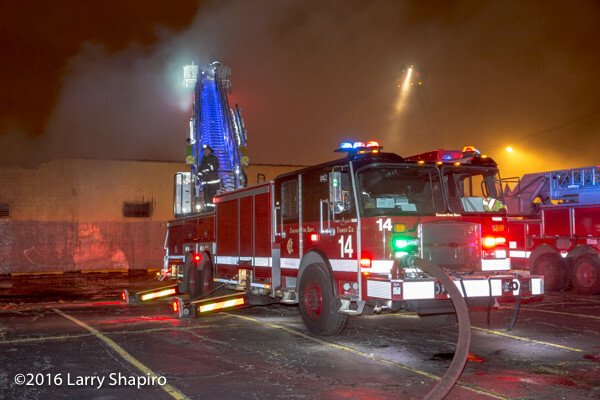 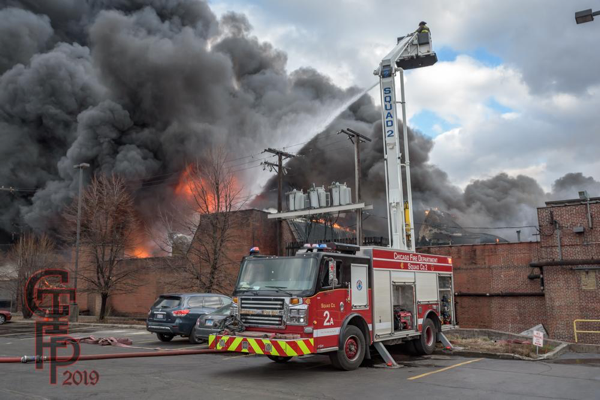 After venting the roof, companies went defensive with Tower Ladder 14 setup to the west and Squad 2A to the east. 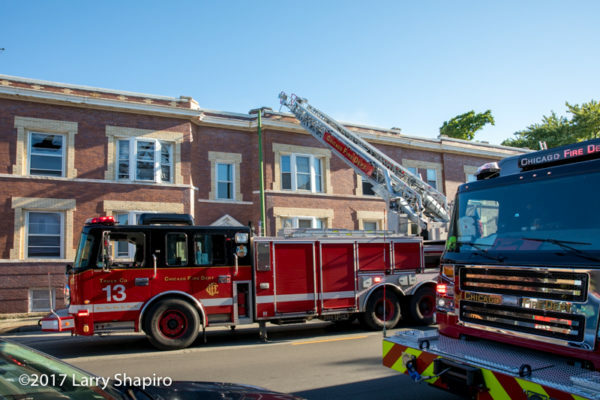 There was a special call for an additional tower ladder which brought Tower Ladder 23 to the front of the building. 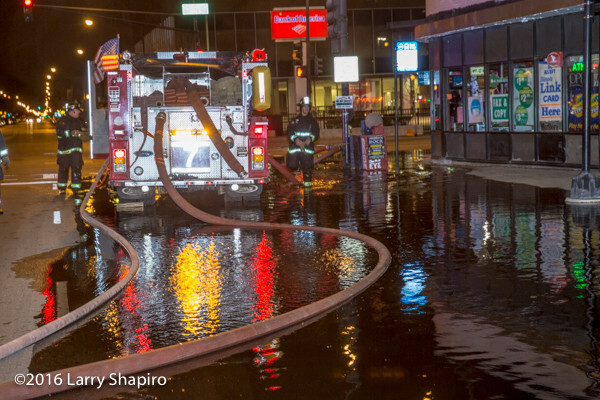 Two multi-versals and the three elevated master streams inundated the building with water for two hours. 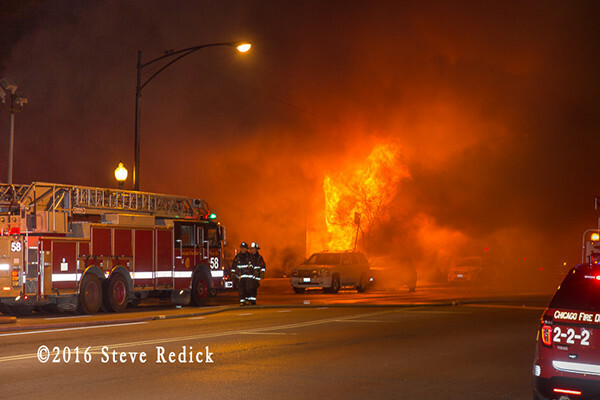 Heavy fire vented out the front of the building burning a car parked at the curb. 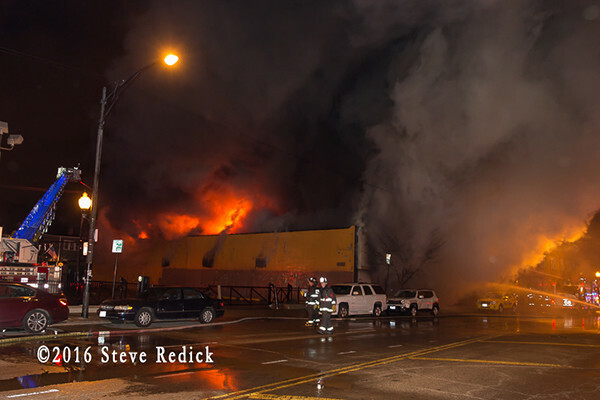 The utility company was called to shut off gas to the building as a gas fed fire burned freely near the front.